Disney World in March is also known as spring break at Disney World. Spring break = mega crowds! Since you are thinking of traveling during this busier time of year you are going to want to make sure you are diligent in putting together your plan. I recommend using our FREE printable daily Disney World planner. While this month is busy due to so many Spring Breaks happening at schools around the US, the good news is that at last Easter has moved again to April so the insanity of the last couple of years should be lessened. Despite the crowds, this is still one of the best times to come to experience Epcot’s Flower and Garden festival. During the first week of March, everything for the festival is freshly planted and primped to photographic perfection! Visiting during this month it’s important to keep a close eye on the weather forecast leading up to your trip. The weather on average ranges from the 60s to the 80s. It’s a good idea to pack like you would for summer during this month. The temperatures start climbing in March and it can get quite toasty. Sometimes the early mornings and late evening can get rather chilly, I recommend packing a light coat if you plan on being out during these times. As always it’s a good idea to check the weather forecast before you leave. For more on what to pack check out our FREE: The Ultimate Disney Packing List. The Flower and Garden Festival at Epcot is one of my favorite times of the year to visit. Though my allergies will disagree with that statement, it’s worth the sniffles to see the topiaries. The displays are just stunning and something you want to get a chance to experience at least once. This year the Epcot Flower and Garden Festival runs from March 6th to June 3rd, 2019. Of course every year the festivals at Epcot seemingly get longer and longer and we love it! The festival has a little bit of something for everyone in your family. There is a fantastic lineup of concerts, food booths scattered across Epcot, special tours, and gardening tips and exhibits. For a full look at the Flower and Garden festival read our coverage! This all new attraction at Hollywood Studios opens March 31st! When this new show experience opens this spring, you’ll come face to face with racing legend Lightning McQueen, who will teach you about racing from his years of experience on the track. This will be the untold story of Lightning McQueen, as told by Lightning McQueen! The beginning of March is like the quiet before the storm. Watch out for March 5th, it’s Mardi Gras and Disney World tends to see a flood of people coming in from Louisiana. Spring breaks really kicks in during the middle of the month. People are also attracted to come in March since the weather tends to be pretty perfect in this month. Here is a look at the current scheduled maintenance for March at Disney World. It’s important to also note that not all attraction closures are planned in advanced. Sometimes things happen and Disney closes an attraction unexpectedly. Stitch’s Great Escape January 3, 2017 – Unknown Disney recently announced that this attraction is switching to operating only on a seasonal basis. This means that Stitch will only be open during Disney’s World busiest times. Tomorrowland Speedway – January 2, 2019 to May 17, 2019 closed for the Tron construction. Walt Disney World Railroad December 2018 – Unknown Good new is the train will be parked at the Main Street Station due to the Tron construction. PizzeRizzo – seasonal on October 20, 2018. Visiting Disney in Other Months? If you are planning a trip for March be sure to join our Facebook group and get all your planning questions answered. 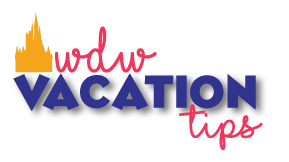 I also recommend subscribing to our Instagram account for daily Disney World tips!